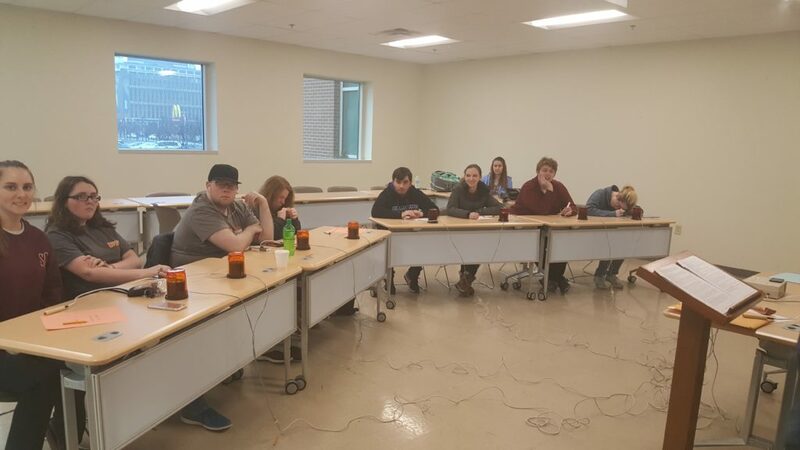 In a tournament rescheduled because of snow in January, the University of Louisville held on and won a tiebreaker over a very competitive Transylvania University on a cold, rainy, February day on the JCTC Downtown Campus. Louisville and Transylvania both finished with 7-1 records in Division I, and split the head-to-head tiebreaker. Louisville was awarded 1st place by virtue of the 2nd tiebreaker, Points Per Bonus (22.45 vs. 16.97). Cumberlands took home the 3rd place trophy, with Eastern Kentucky University and UPike also competing gamely. 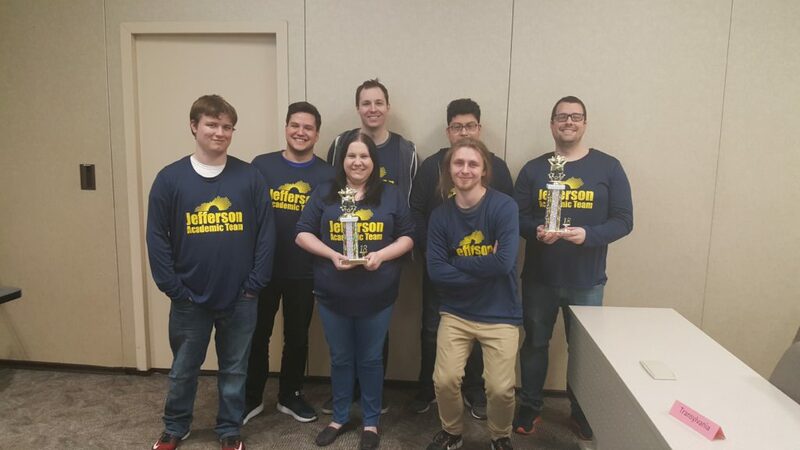 In Divison II, JCTC A was never threatened, compiling a 6-0 record. 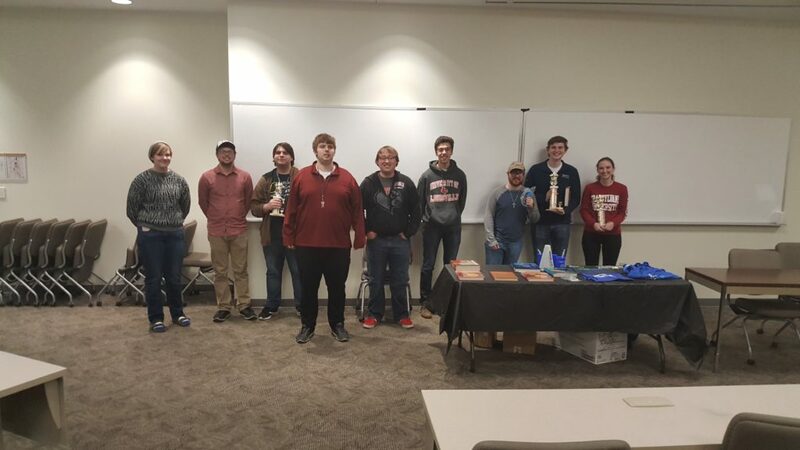 JCTC B took 2nd place, with Cumberlands finishing in 3rd. Individually, Tim Ellis of JCTC A took scoring honors with 105 points per game. Christian Wright (Transylvania) wasn’t far behind with 92 PPG. Elaine Leslie (Cumberlands), Rachel Farmer (Transylvania), Thomas Rosbottom (Louisville) and Michael Martin (EKU) rounded out the top 6 in scoring. Salsarita’s provided an excellent Taco Bar for lunch. The next tournament will be February 24 at UPike. Some of the top scorers at Jefferson.